"Pixelated" string can be loaded with the arrow, pulled back and fired! 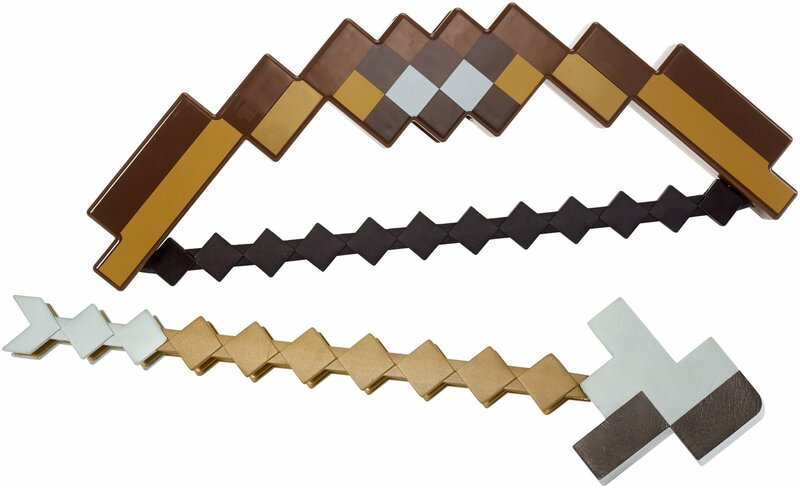 Target your Minecraft role play with a full-size replica of the Bow and Arrow from the game. Created in Minecraft&x2019;s iconic &x201C;pixelated&x201D; style, the Bow and Arrow has true-to-game features including a &x201C;pixelated&x201D; string that can be loaded with the arrow, pulled back and actually fired. Fans of the game will enjoy firing this cool life-sized iconic weapon. Colors and decorations may vary.